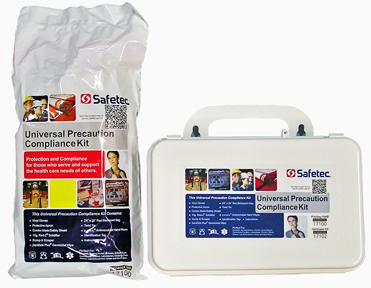 Universal Precaution Spill Kits provide personal protection and are a responsible method for the clean up of infectious blood and body fluid spills. 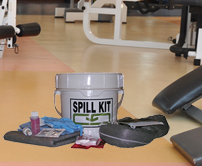 This Spill Kit has all the items mandated by OSHA, CDC and state health departments. Use alone or add to any Spill Kit for complete coverage. Red Z™ Solidifiers provide state-of-the-art response for spill control and clean-up of potentially bio-hazardous fluids. Captures and retains up to 100 times its own weight.